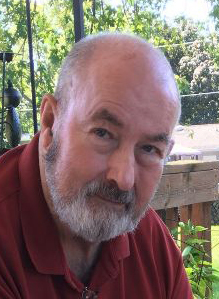 John J. Arneth Jr., 81, De Pere, passed away on Saturday, February 2, 2019 at home with his family by his side. He was born on October 15, 1937 in Ishpeming, MI to the late John “Jack” Sr. and Johanna (Beljan) Arneth. On August 7, 1965 John married Rebecca “Becky” Pringle at St. Anthony Catholic Church in Oconto Falls, WI. John served from 1955 to 1958 in the U.S. Navy, and from 1958 to 1961 in the Naval Reserves. He attended Michigan Technological University, where he became a member of Phi Kappa Tau fraternity and graduated as an electrical engineer. John worked for Wisconsin Public Service from 1964 until his retirement in 1999. John devoted a lot of his time as a volunteer throughout the community. He was a volunteer at the Weidner Center as a Charter Volunteer and Floor Manager, a board member of UW-GB Lifelong Learning Institute, a board member of the Nicolet Landing Condo Association and volunteer for Art Street. John was a member of St. Willebrords Catholic Church where he also served on the church counsel and as a lector. He enjoyed cooking, photography, skiing, biking and golfing. John cherished the moments spent with his family, especially the times with his grandchildren. John is survived by his wife, Becky; children, Angela (James) Arneth Ward and Andrea (Tom) Larson; grandchildren, Carter Ward, Logan Ward, Jacob Huempfner, Teddy Larson and Katie Larson; sister, Julie Arneth; cousins, Gail (Greg) Kivi, JoAnn (Howard) Hilshorst and Joe (Ruth) Beljan; as well as many friends. Visitation will be held on Wednesday, February 6, 2018 at Lyndahl Funeral Home, 1350 Lombardi Avenue, from 4:00 pm until the Vigil Service at 7:00 pm. Visitation will continue on Thursday, February 7, 2019 at St. Willebrord Catholic Church, 209 S. Adams Street, from 9:30 am until the time of funeral service at 10:30 am. Expressions of sympathy, memories and photos may be shared with John’s family on his tribute page at www.lyndahl.com. John’s family would like to thank De Pere Fire and Rescue, the team of Dr. Nelson, Dr. Gala, Dr. Marsh-Kates, Dr. Davuluri and Dr. Hoppe at Prevea Health and the staff of St. Vincent’s 7th floor for everything that they have done for John during his times of need. Special thanks to Mirabelle for her care and devotion.